Our aim is to provide your business with the best customer service. Impact Computing has a first class reputation, based on our fast response, attention to detail and willingness to “go the extra mile”. We are big enough to meet your needs but small enough to care and build a relationship with you. Many of our clients have been with us for over 10 years thanks to a consistent good experience. 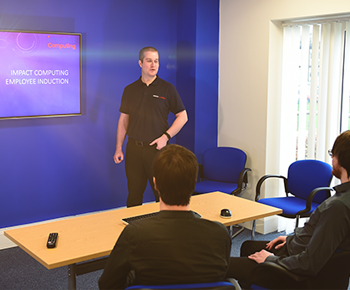 Impact Computing continually invests in staff professional development. In addition to regular performance reviews with management, our engineers undertake on-going training and sit professional IT exams in order to keep up to date with array of rapidly advancing technological developments.